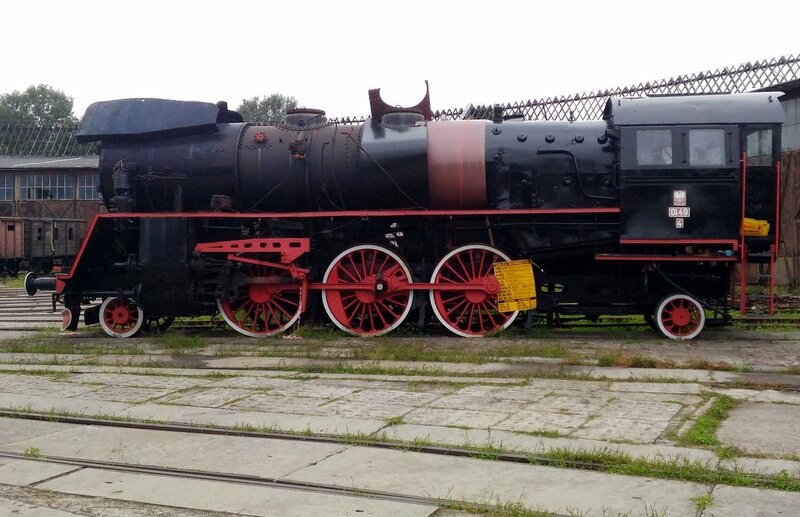 During the last weeks we intensified the works by the class Ol49-4 steam engine which currently stand s in front of the turntable. First its steam dome cover has been cleaned of rust and painted. Simultaneously, in the main workshop, new boiler covers were cut to size and protected against the rust with fresh coat of paint. 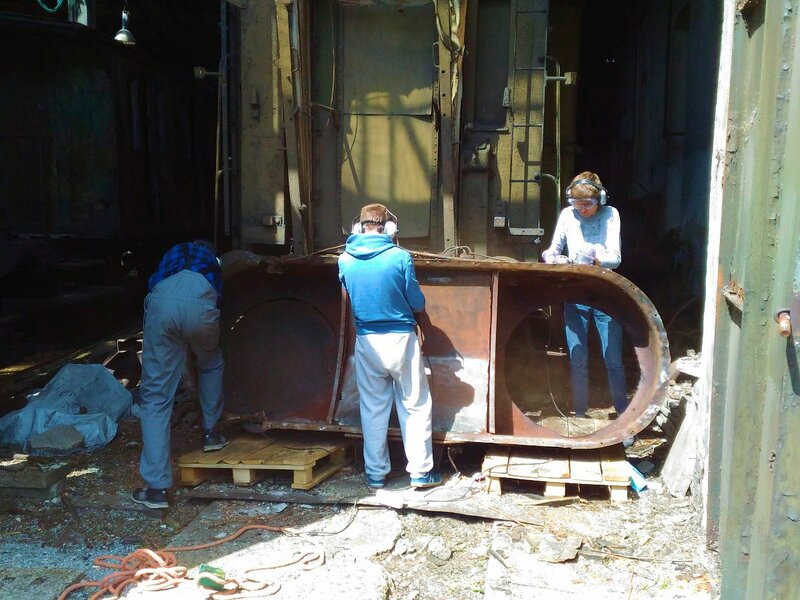 During the last weekend all plates were bolted back to the boiler. 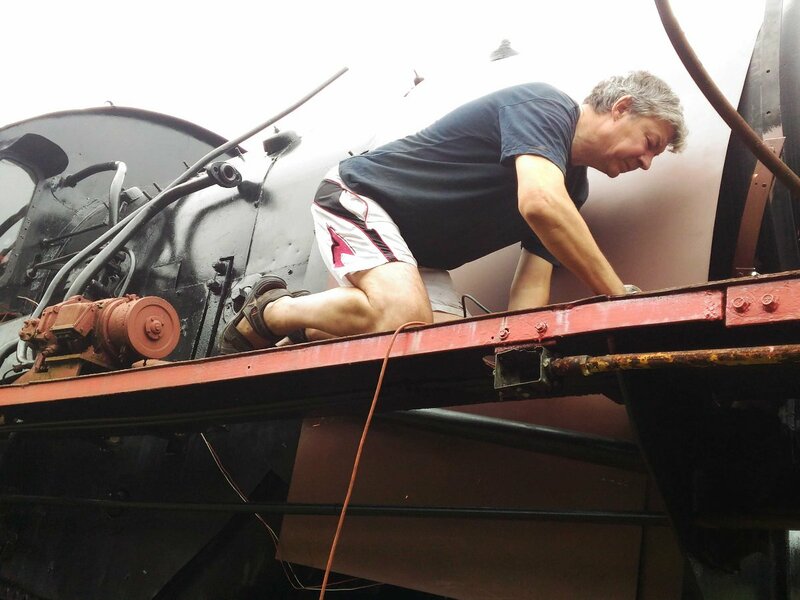 The last step will be fixing the steam dome cover back on its place. The works by the engine will be continued in August, also as a part of Volunteers Camp. 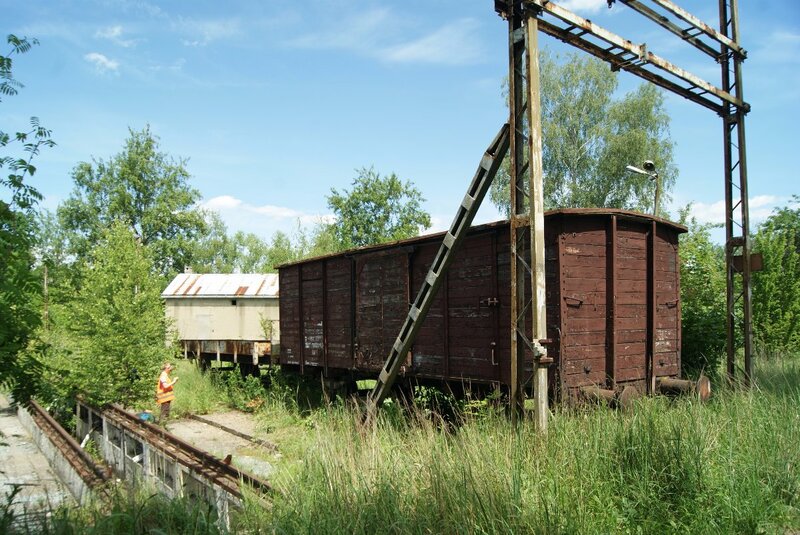 More than two years ago we were alerted by railway fans from Piotrków Trybunalski that in the area of the control point of now defunct railway shed there are two freight cars (a box car of Prussian G10 type and undercarriage of a similar car of Austrian origin) which might belong to PARE. We investigated this case in our archive but we only managed to confirm that many years ago we requested to take ownership of those cars and passed the request to contemporary Central Direction of State Railways. 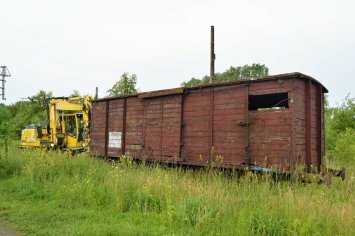 However we did not found any document that would acknowledged our association as the new owners of this rolling stock. Due to the conflicting information we asked PKP SA to settle the state of two cars. After several months of waiting we received quite surprising response. 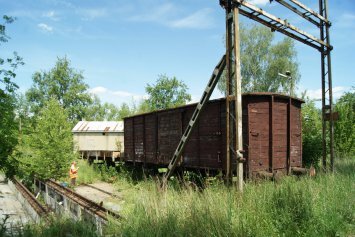 Nearly 25 years ago in the giant bureaucratic machine of State Railways a document confirming donation of the two freight cars to PARE was lost! 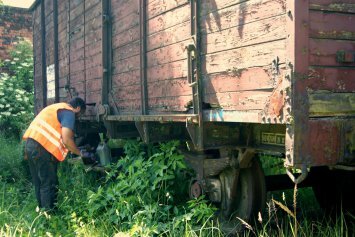 Suddenly we were simultaneously happy to obtain new exhibits and concerned on how to transport new acquisition form the place which was quite isolated from any roads and tracks. 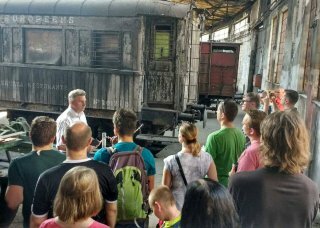 We started to plan the transport from Piotrków, which was not an easy task due to already strained budget of the association. 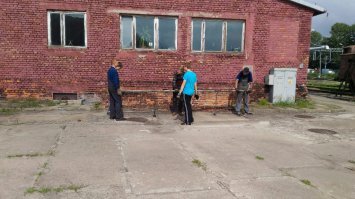 Thankfully, in mid-2015 we were contacted by Mr Andrzej Nikonikuk, CEO of company “Radionika” (producer of telecommunication and radio equipment for railways), who offered us a financial help for transport and renovation of one of the cars. 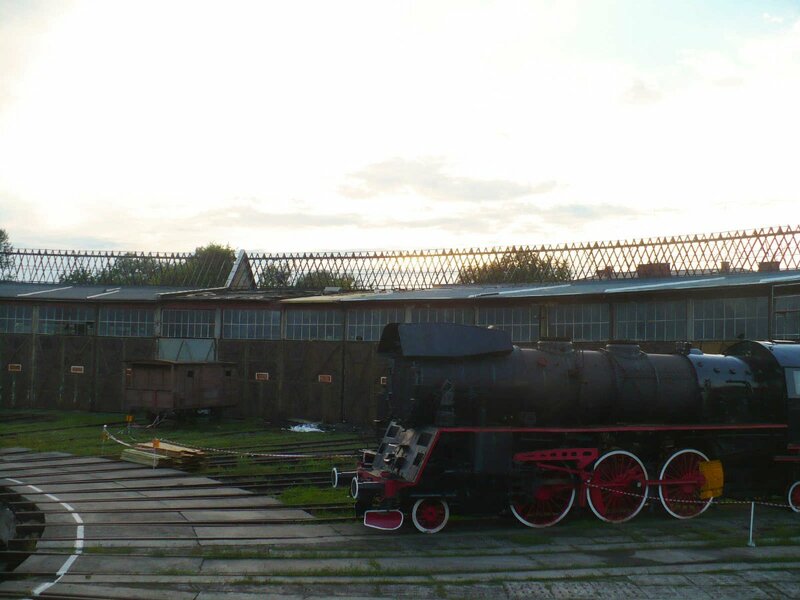 Initially, he was very interested in the box cars from our collection, and suggested that he would like to finance the renovation of one of them and use it as a technical monument in front of the office of “Radionika” in Kraków’s Technology Park. The renewed vehicle would underline the railway origins of the company and would promote the railway history in this prestigious area. 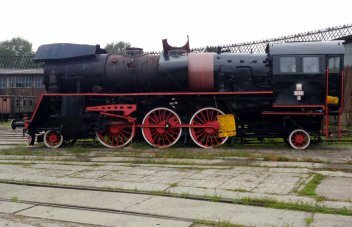 In exchange of making the G10 car available for this purpose, “Radionika” will finance transportation and rebuild of both vehicles from Piotrków. 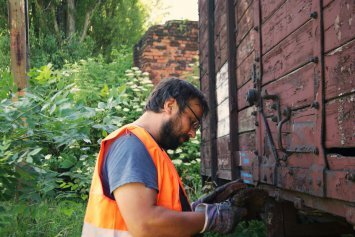 However, it was no sooner than in June 2016, when we manage to finalize the transportation matters and start preparing the cars for the journey to their new homes. We arrived in Piotrków a couple of days before the transportation crew to check the state of the vehicles. As the cars are in unguarded area, we did not risked any repairs in earlier term as in the meantime replacement parts could have been stolen. 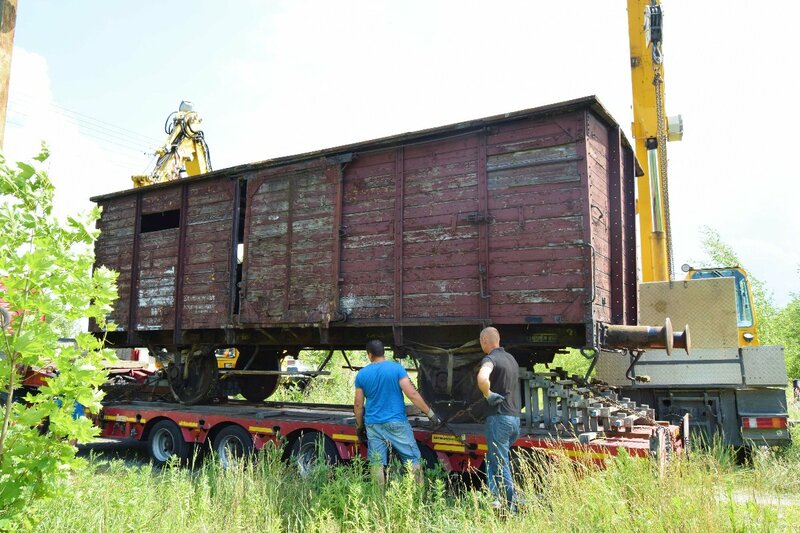 The undercarriage of Austrian car was already missing axle bearings and other vital parts so it was intended to be disassembled and moved in smaller parts. 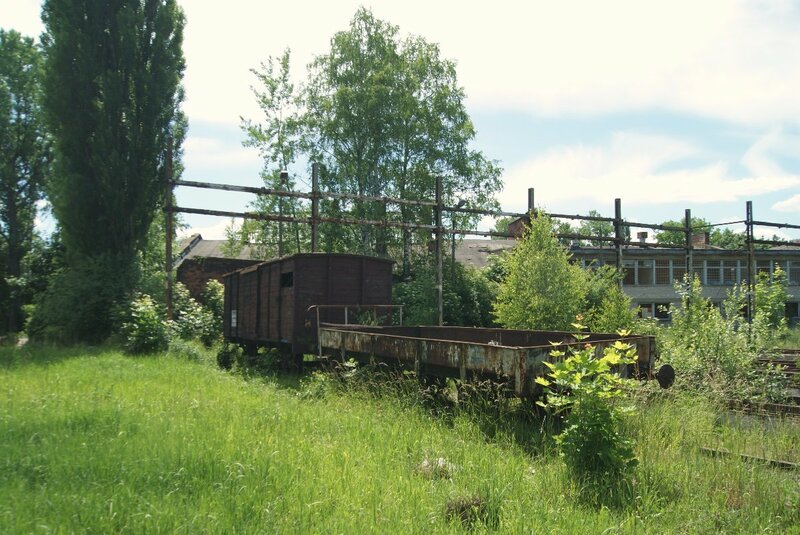 Yet, the G10 car had to be moved on its own wheels a couple of hundred meter to a place more convenient for loading. 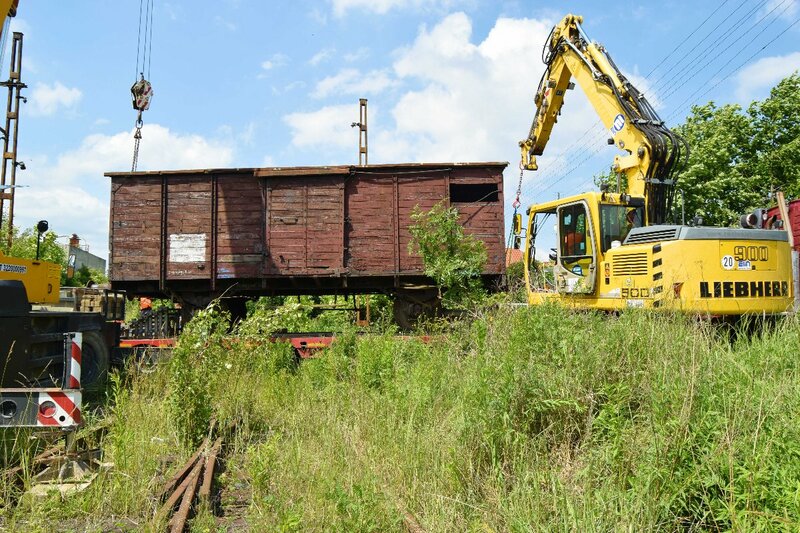 As it was heavier and less accessible, contrary to the Austrian car it survived the destructive attempts of the scrap thieves and was nearly ready to be moved from its place. Despite it will be serving as a monument, we would like it to be still operational. 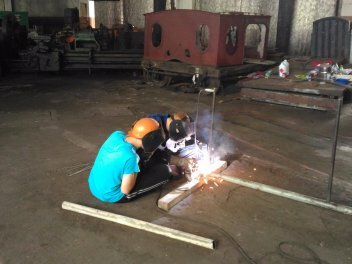 Therefore, to minimize the risk of damaging the axles bearings, we had to check the grease boxes and whenever possible, supplement the oil. If the grease box appeared to be too damaged we temporarily soaked the lubricating wicks. Contrary to bearings, the axle braces appeared to be missing, possibly long gone in the local junkyard. We expected that the car will be lifted so this fact posed a risk of axles falling out of their mountings. Temporary, we had to improvise some braces from tightly bound, thick wire and additionally secure the axles with cargo belts. A whole evening was devoted for this work, which was vital for a safe travel of the car to Kraków. 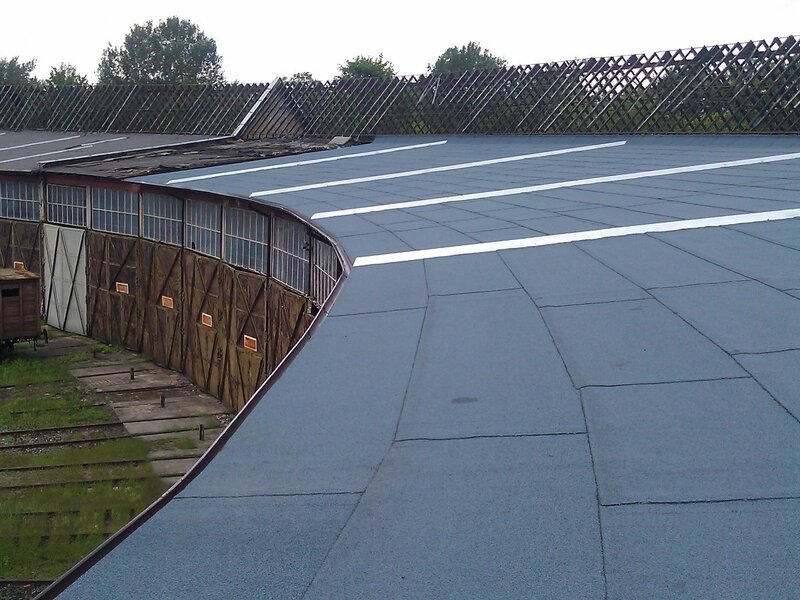 Bank Spółdzielczy from Skierniewice supported roof repairs. 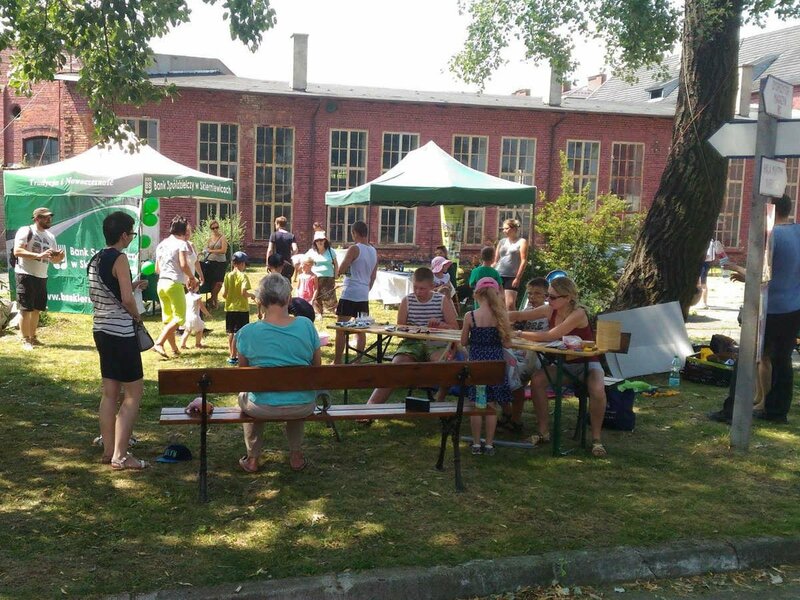 We are happy to report that Bank Spółdzielczy from Skierniewice has passed to us a donation of 3500 PLN as a part of own capital required for applying for the funds from Ministry of Culture and National Heritage. Thank you! 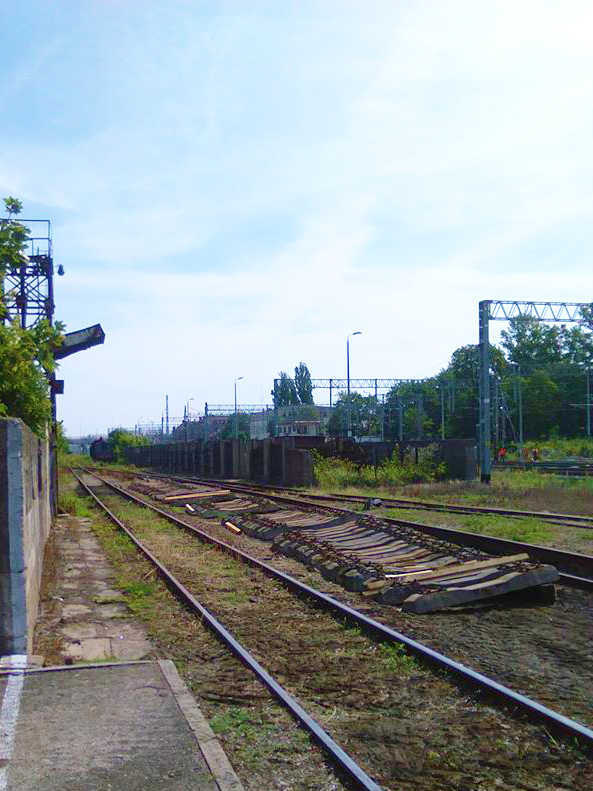 This year we received a financing from City Council of Skierniewice for the track maintenance – especially replacement of rotted sleepers in the critical for the Shed track № 59. We decided to once again use concrete sleepers as more durable. Due to historical and economical reasons a reused sleepers will be incorporated. After several-weeks search we managed to buy in Wieliszewo near Warsaw complete sleepers of type INKB-4 with fittings which will nicely go with the S-49 profile rails commonly used in the shed. Another couple of weeks was needed to find an affordable transportation. 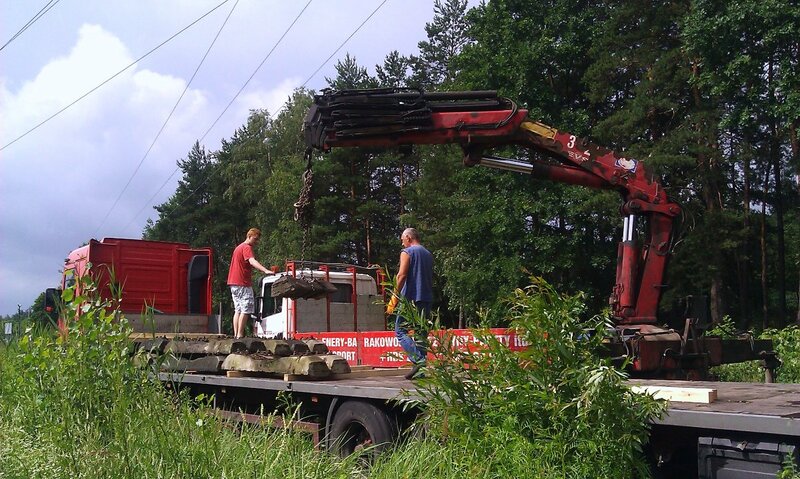 On Saturday, 9th July, a whole-day long loading operation was carried out by our volunteers. The cargo reached Skierniewice on 11th July where it was unloaded with backhoe loader already near the place of future use. More on the repairs soon! 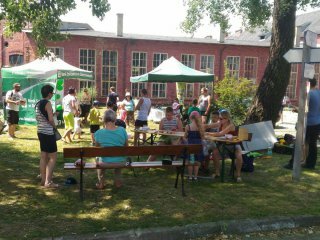 Open days taking part in June and July were dominated by the exceptionally hot weather. Thankfully it was not a scorching heat that we witnessed a week earlier and the number of visitors was greater – 167 guests visited us on 2nd July. 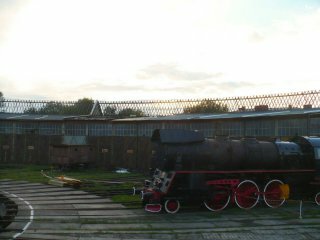 Another opportunity to visit the Engine Shed will be on the first Saturday of August. We would like to inform you that on 4th July we published the required by law financial reports for the fiscal year 2015. 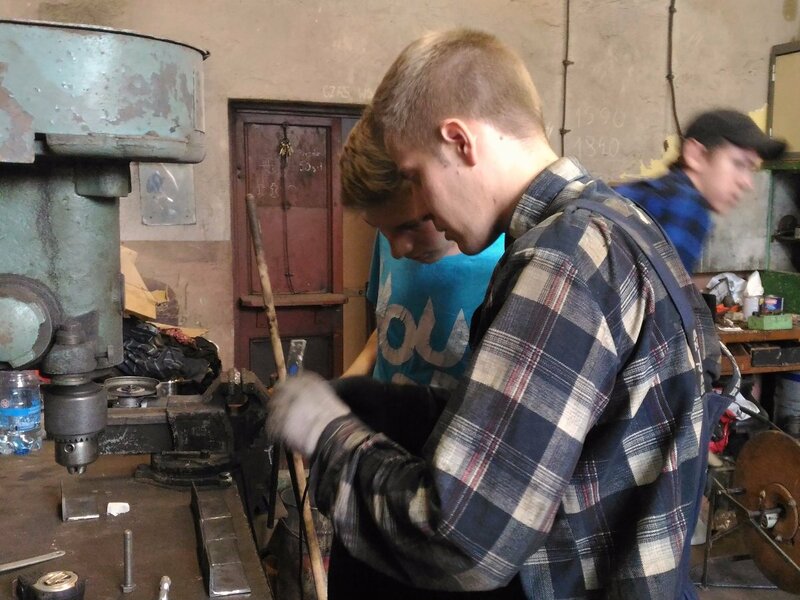 Reports, approved by PARE’s Audit Commision have been submitted to the database of Ministry of Labour and Social Politics and are also available for your review in the 1% section of the Polish version of our website.